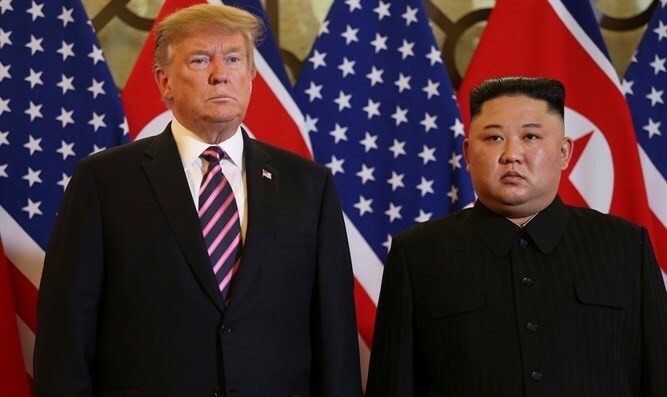 North Korean media says Kim Jong Un and Donald Trump decided to continue talks to resolve problems discussed at their Hanoi summit. North Korean leader Kim Jong Un and US President Donald Trump decided to continue productive talks to resolve problems discussed at their Hanoi summit in order to bring about the denuclearization of the Korean peninsula, Reuters reported on Thursday, citing the North’s official KCNA news agency. The two leaders had a constructive and sincere exchange of views on practical issues to open a new age in improving North Korea-US relations, KCNA said. They saw that efforts and proactive measures taken by both sides to ease tension, propel peace and bring about complete denuclearization on the Korean peninsula has been gravely meaningful in encouraging trust between them and fundamentally changing the distrust and inimical relationship that had continued between the two countries for decades, said the North Korean news agency. Trump on Thursday abruptly ended his summit with Kim in the capital of Vietnam, explaining that, while "we had a productive time," no deal was signed. He said that Kim had asked for total removal of sanctions before denuclearization, something to which the US could not agree. “Basically, they wanted the sanctions lifted in their entirety, but we couldn’t do that ... we had to walk away from it." Trump’s move came just after Kim indicated he was ready for denuclearization, telling reporters that he would not have come to the summit in Vietnam if he was not prepared to pursue the denuclearization of the Korean peninsula.